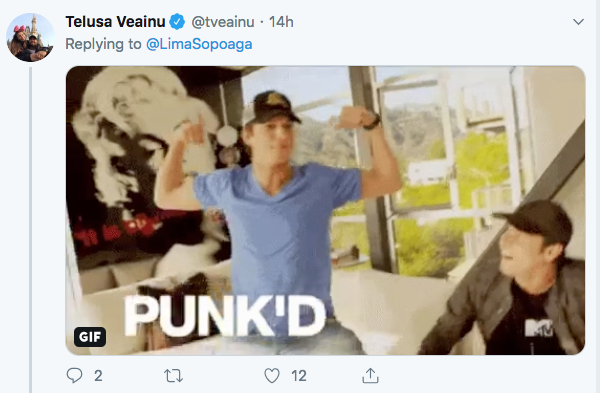 Leicester Tigers fullback Telusa Veainu appears to have dropped a hint about his future on social media. 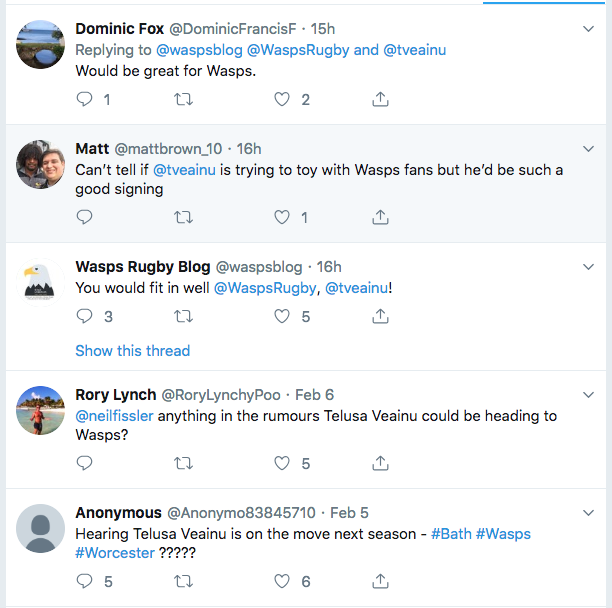 The Tongan international is thought to be out of contract at Welford Road in the summer and is now interacting with posts about joining Wasps on social media. However, when asked to speak by current Wasps fly-half Lima Sopoaga, he replied that he was ‘punking’ fans. After joining Leicester Tigers after the 2015 Rugby World Cup, Veainu ended the season as the supporters’ Player of the Year and Newcomer of the Year. Quick, elusive and strong as a wing or full-back, Veainu was also the only Tigers player named in the BT Sports Team of the Season for 2015/16 and ended the campaign as the club’s joint top tryscorer with Vereniki Goneva. After winning his first cap at the 2015 Pacific Nations Cup, Veainu started all four games for Tonga in the World Cup, scoring a try in the win over Namibia and playing against Argentina at the home of Leicester City FC. 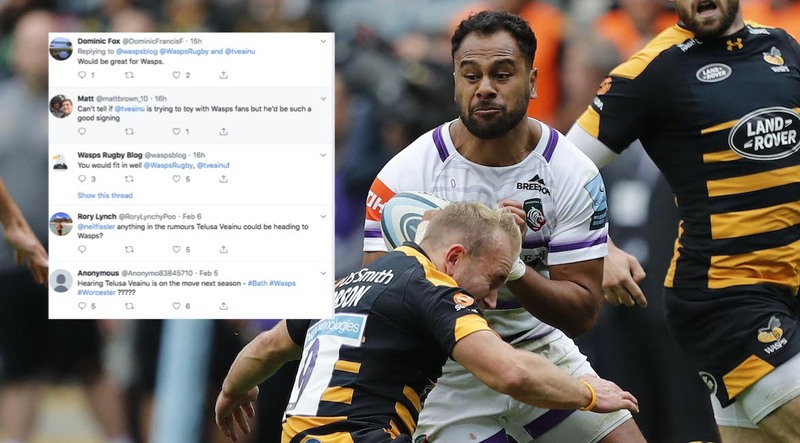 He returned home to New Zealand but was immediately summoned back to England with a short-term contract at Tigers and proved an instant hit with five tries in his first six games for the club. His solo score against Worcester Warriors at Welford Road was the supporters’ pick as Try of the Season in 2016/17.